You’ve been waiting for it! And, now it’s ready! 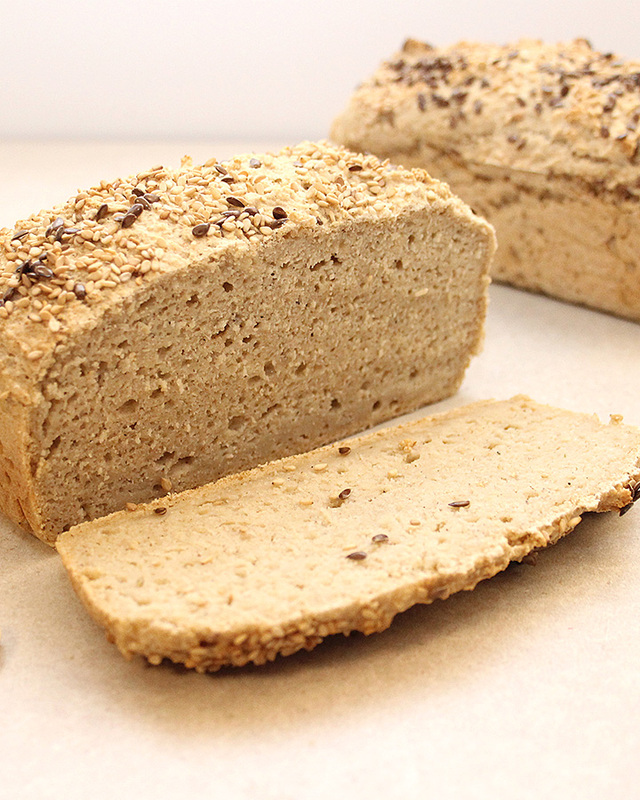 The Yeast-Free Gluten-Free Vegan Bread recipe is here! An allergen-friendly dough mix that is Part 1 of 3 recipes to come on Fresh is Real. It’s an easy-to-make dough and a wonderful recipe for beginners to try. Did I mention that no mixers are required? And, it’s a knead free dough! It’s simple; combine the ingredients in a large glass bowl, mix, transfer to a baking pan, bake, and that’s it! The bonus part is that it can be ready in less than 1 hour from start to finish. Oh, and if you love to learn by watching videos, keep reading to find the NEW video for this recipe! 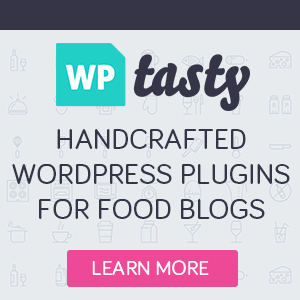 If you found this post, it’s most likely because you have food sensitivities, allergies or maybe you or your family follow a primarily plant-based lifestyle. Like me, you might not be able to eat bread from the grocery store. Many are nutritious with decent ingredients, but there always seems to be at least one that you can’t tolerate. Sound familiar? Well, I hope that this recipe might just be the right combination of ingredients for you to try! 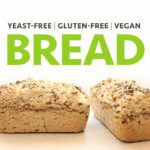 This bread will hopefully satisfy your sandwich, toast, burger, pizza crust, and snacking needs while providing you with the right kind of nutritious ingredients. The struggle is real people! When you, or a loved one, first gets diagnosed with either food allergies, sensitivities, autoimmune diseases, or even celiac, life does take a turn. A HUGE one in fact! Not just for the one diagnosed but it affects the whole family. Navigating ingredients you should avoid—even some healthy ones—can be so confusing. If you’re new to such a lifestyle, it can be very overwhelming. Don’t worry though, after some time you will get to know what works and what doesn’t. Imagine using 1 dough mix that can transform into beautiful fragrant loaves, rolls, the ever so loved pizza crust, and so much more! Sounds pretty great right? Well, it’s possible and exciting! The texture of a yeast-free loaf is different, I will admit to that. If you haven’t been able to consume any kind of bread in a while this might be the perfect substitute. The taste of this bread reminds me of biscuit dough. And that first bite you take—after spreading a nice amount of your favourite spread—will be a memorable one! 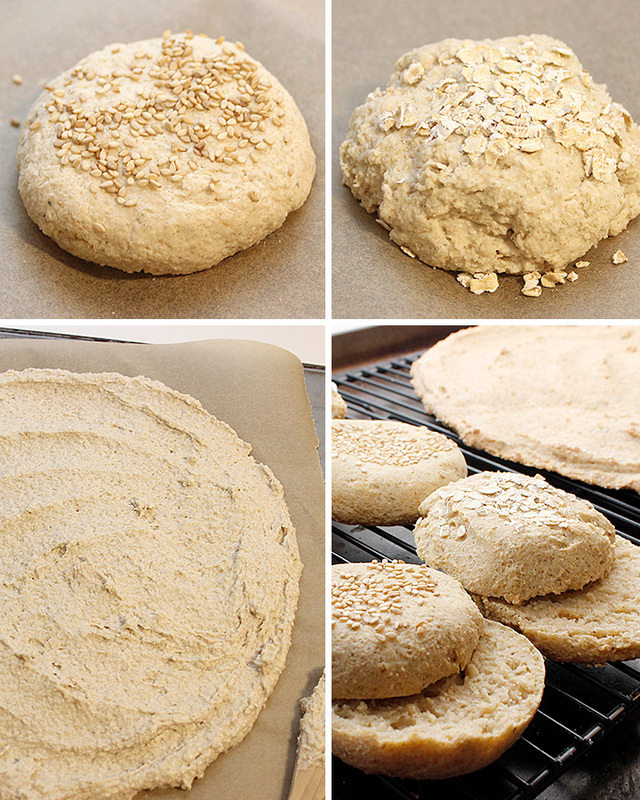 I tested many—MANY—bread making methods this past year. The ones I’m sharing with you are safe for my family, and hopefully yours as well. 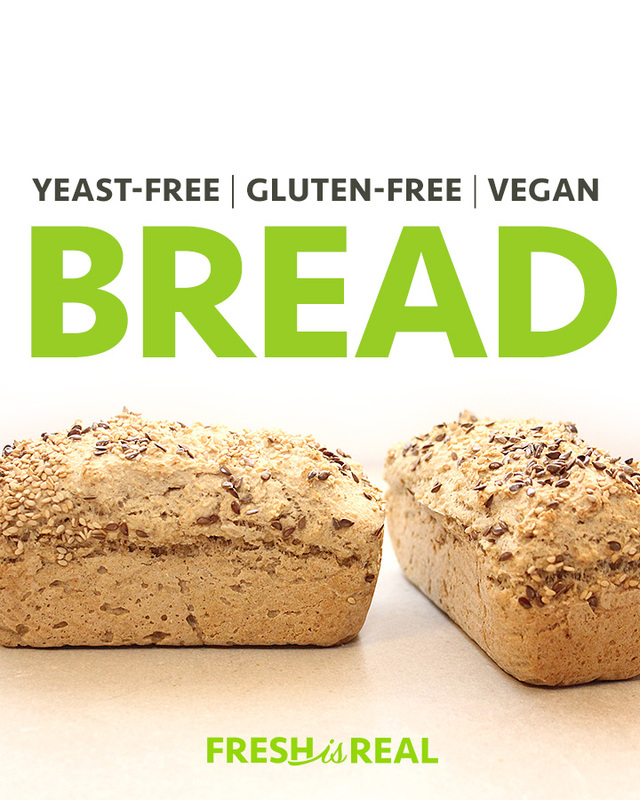 Developing bread recipes that are nutrient-dense, gum-free, corn-free, legume-free, and free of all top allergens (egg, soy, dairy, nuts, etc.) were very important to me. If you love sea vegetables or crunchy flavour-packed simple to make salads, you must try the Seaweed Vegetable Salad. My kids love it, and I bet, like me, you won’t be able to stop eating it! Part 2 of 3 of my bread recipes is my Basic Yeasted Dough. I can’t wait to see your loaves, rolls and pizza crusts! 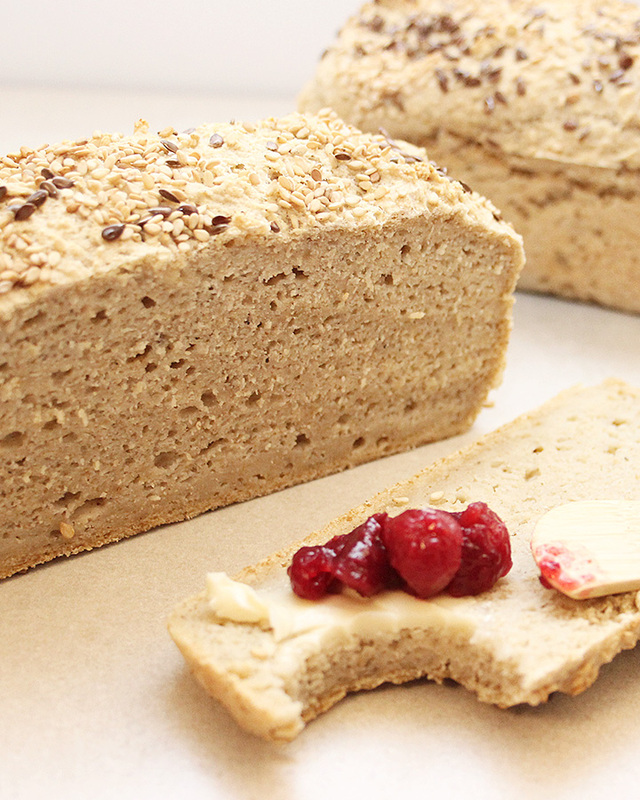 Be prepared for the most incredible aroma while baking this yeast-free gluten-free and vegan bread recipe! The ingredients do not contain gluten, eggs, dairy, nuts, corn, gums, soy, peanuts, oil, legumes, or commercial yeast. No bread mixer or kneading skills required for this beginner bread recipe. You can even make rolls and a pizza crust with the same dough. Ingredients inspired by Heather Crosby Gluten-Free Baking Academy. Line 2 mini loaf pans (5 x 2 inches) with unbleached parchment paper and lightly grease (coconut oil is excellent). In a small bowl combine 1 tablespoon of fresh lemon juice with 1 cup of hemp milk, let sour until ready to use. Place sifter over a large glass bowl, sift and combine all dry ingredients: flours, baking powder, psyllium husk, coconut palm sugar, salt. Remove sifter and mix the dry ingredients well. Add soured milk to the dry ingredient bowl and mix in a little. Add water, start with 1/2 cup (up to 3/4 cup***), and mix well until all the liquid is absorbed. Divide dough between 2 lined mini loaf pans and gently spread evenly. Top with seeds of choice (optional). Bake mini loaves in preheated oven for 35 minutes until golden and crusty on the edges. Let mini loaves cool for 5-10 minutes before removing from pan. After 5-10 minutes, remove mini loaves from pan and let cool. Slice and enjoy with your favourite spreads! Store any leftovers on the counter for one day and then refrigerate for up to five days. * To make homemade hemp milk: Blend 1/3 cup organic GF hemp hearts with 1-1/4 cup of water (filtered or spring) in a high-speed blender. Pour the milk through mesh bag into a bowl. This step is to remove unwanted bits or grittiness. ** Make sure to use corn-free, gluten-free, and aluminum-free baking powder. The one I use is made with Tapioca starch, cream of tartar and baking soda. *** Not sure if 1/2 cup of water is enough, it might be best to test with 1/2 cup + 2 tablespoons of water. That way your dough won’t be too wet for your first try. If you make the recipe often, you will get better at judging the amount of water required. If your dough mixture looks too dry then, by all means, add the extra 1/4 cup of water. Your dough should be thick and smooth but not runny. For smaller bread rolls, once the dough is ready, scoop out a palm-sized amount and plop it down on an unbleached parchment-lined baking sheet. Gently shape with hands if necessary. Flatten a little to achieve thinner rolls. Sprinkle with your favourite toppings and bake on the middle rack in a preheated 450 degrees F oven for about 25 minutes. Note: if bottoms are getting dark around the 18-minute mark you can always flip the rolls over for the rest of the baking time. Remove from oven, let cool on a cooling rack, enjoy! For smaller 7-3/4 x 3-3/4 x 2-3/4-inch loaf, once the dough is ready, scoop out the dough and place it into a lined (and oiled, if you want) unbleached parchment-lined bread pan. Gently shape with hands or spatula if necessary. Sprinkle with your favourite toppings and bake on the middle rack in a preheated 450 degrees F oven for about 40 minutes. Remove from oven, let cool in pan for 5-10 minutes, then remove from pan, peel off the parchment paper and cool a bit longer on a cooling rack, enjoy! Once your dough is ready, spread the mix with the back of the wooden spoon (or plastic spatula), in a circular shape until you reach about 10 inches in diameter. You will be doing this directly on an unbleached parchment-lined baking sheet or baking pizza stone. For a little extra flavour, I like to sprinkle a little grey sea salt before baking the crust. Bake on middle rack in preheated 450 degrees F oven for about 20 minutes. Remove from oven and let cool on cooling rack. Once cooled, wrap up and refrigerate until ready to use. Will keep in the refrigerator for five days. Once ready to eat, top your pizza with your favourite toppings and bake in a preheated 425-degree oven for 12-15 minutes. Bake on middle rack in preheated 450 degrees F oven for about 20 minutes. Remove from the oven (with baking sheet), add your toppings, return the pizza to the oven and continue baking for another 7-12 minutes. Your pizza is ready once the sauce is bubbly, the crust is golden on the edges, and the toppings are nice and warm throughout. You will need a large glass bowl, measuring cups for dry goods and liquids, measuring spoons, large wooden spoon, a spatula, a flour sifter, unbleached parchment paper, and baking pans (cookie sheet, loaf pan, or other). Nice to have tools: a spice/coffee grinder, baking stone. If using a baking stone, I recommend preheating it in the oven at the same time as the oven is warming up. Use a large plate, cutting board, or the back side of another baking sheet to help you transfer the parchment paper with unbaked pizza crust or rolls. Just slide the paper and dough right onto the hot stone in the oven and follow suggested baking times. Plant-based milk: You can try other types of plant-based milk. I did not test any other milk substitutions. It is recommended to use 2-ingredient plant-based kinds of milk (water + seed/nut). You can try with store-bought brands, but they often include thickening agents and other unwanted ingredients. Flour: In place of sorghum flour, you can use millet or buckwheat flour. Or consider using more oat flour. Thank you so much for this recipe! I tried it and I put a little too much water but it still came out great. Hi Annabelle! Thank you so much for letting me know. Did you make hemp milk or did you use another plant-based milk? So happy that you tried it! Ps. Did you bake it into a loaf or crust? Can this be frozen after baking? We’re looking for some good communion bread recipies, but it’s useful to have them on hand in freezer. Hi Sonje! I’m sure it can! I enjoy mine fresh or stored in the refrigerator for up to 5-7 days but many like to freeze their extra bread. Once frozen, try to consume the bread within 3-6 months for best results. If you do, you might also want to slice it first then freeze it. Ps. once thawed it might taste better toasted but you will have to try it to see what you like best. Have you tried this recipe yet? Hi. Thanks for the recipe and for such a detailed information about the different ways to use this recipe. Couldn’t help trying. I just got my loaf out of the oven and it looks great. I had sorghum.flor only hence just used that. Smells amazing. Thanks again. I’m so happy you tried it! Today I made some ‘cheesy’ apple herb biscuits with this dough and OMG I can’t wait to share the recipe with you! The biscuits are so good! I’ve been wanting to try this recipe since you posted it. Not sure what I did wrong, but it turned out very dry and crumbly and a little bit bitter. It falls apart when sliced. Any ideas would be appreciated! Hi Kelly! Did you use fresh homemade hemp milk or another kind of plant milk? Perhaps the type of milk used could have added some bitterness? When using hemp hearts to make milk it’s important for the product to be as fresh as possible. Sometimes seeds can go rancid quickly if not stored in the fridge. What about the acid, did you try fresh lemon juice or ACV? Did you sub anything else with different ingredients? Let me know as I would love for this recipe to work as well for you as it does for my family! It’s one of my favourites! Also, what kind of baking powder did you use? The kind I use, as listed in the recipe, is free of gluten, corn and aluminum. As for the crumbliness, sometimes adding a bit more water can help. Thank you for reaching out! freshisreal.com is very interesting for me, bookmarked! I have a yeast, dairy, rice, chickpea, sugar cane allergy…what can I use in place of the rice flour?? Please help…I am just learning about my allergies and looking for alternatives. Thank you. Hi Alissa! So happy that you’ve found my recipes! 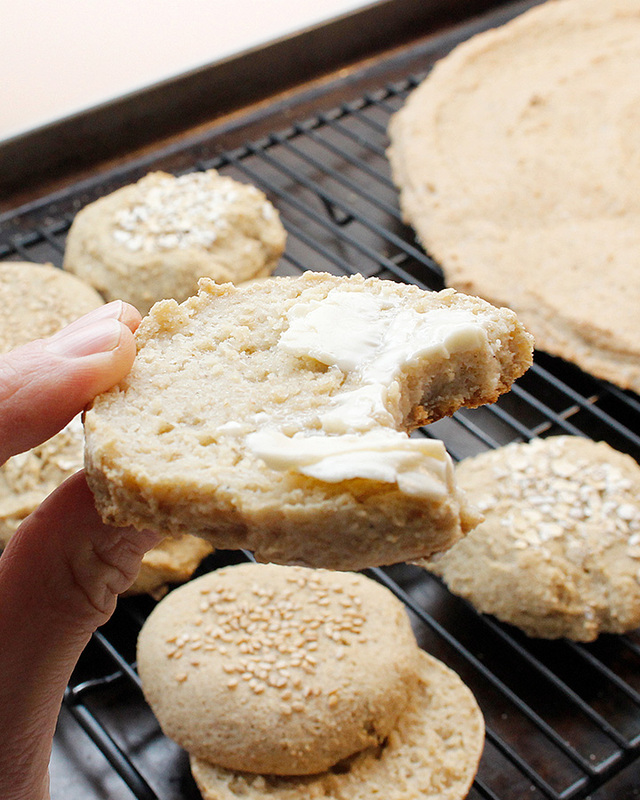 As for the yeast-free bread, you could consider replacing the rice flour with more sorghum and oat flour or try buckwheat flour or millet flour as an alternative. I haven’t tested all variables so I can’t promise it will have the same exact texture but it should be very close. If you can consume almonds, almond meal/flour could work well too.